All three plan to remain anonymous, but they permitted the lottery to release a few details. The winners, a woman in her 20s, a man in his 40s and a woman in her 50s, work together for Maryland public schools. They'll walk away with a cool $34.997 million each in a lump sum. All three have been working multiple jobs. 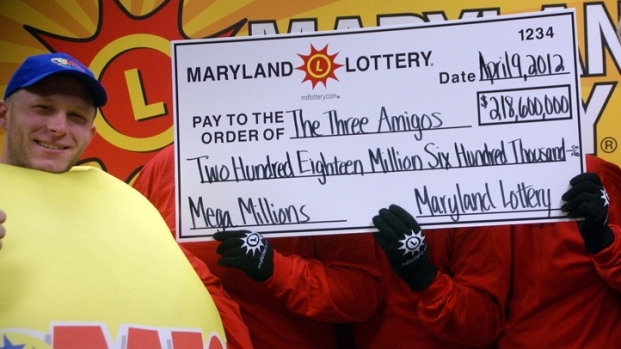 "If it can't be you, these are precisely the kind of people you would want to win," said a rep for the Maryland lottery. News4's Megan Mcgrath has the latest. One has been working at two full-time jobs, another has a part time job, and the third has two other part-time jobs. These were in addition to their roles as an elementary school teacher, a special education teacher and an administrative assistant. Although they work for Maryland public schools, they work at different locations. The trio each contributed $20, purchasing 60 tickets total at three different locations, including the 7-11 in Baltimore that sold them the winning ticket. Shomari Stone reports on the McDonalds worker who claims to have a winning ticket. Now she says, she misplaced it. However, on the night of the drawing Friday, March 31, two of them had to convince the third it wasn't an early April Fool's Day joke. Around midnight, two of them called and woke their friend, saying they were coming over. They arrived to convince her they'd really won, and then made a copy for each of them and placed the original in a safe. Around 3 a.m. that night, one winner contacted a Baltimore-area financial adviser. The adviser made initial contact with the lottery a week later, on the morning of Friday, April 6. The lottery official said the winners are "very cheerful, but a bit overwhelmed by the enormity of the situation." In their immediate future, one plans to backpack through Europe, another plans to finance his daughter's education, and third will travel to Italy. All three plan to invest and buy homes. However, they all will return to work this week, citing "a strong commitment to their students," the lottery official said. As for the McDonald's employee who claimed to have the winning ticket, that doesn't seem to be the case. 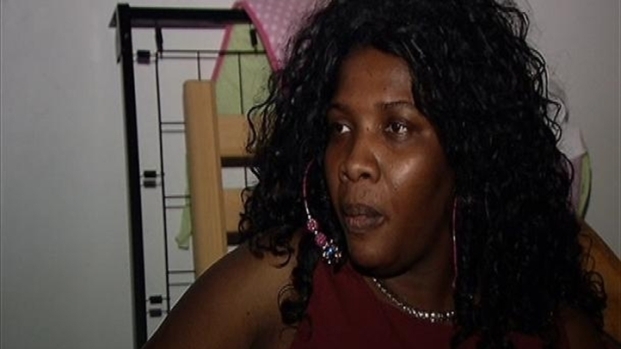 Mirlande Wilson, Haitian immigrant and 37-year-old mother of seven, had said she had the winning ticket. Wilson, who was reportedly responsible for a Baltimore-area McDonald's employee pool of Mega Millions tickets, had said she had the winning ticket -- which wasn’t part of that pool. Last week, she appeared at a news conference in her lawyer's office during which she did not speak, but her lawyer asked the press to leave her alone and said Wilson needed medical treatment for high blood pressure the week after the drawing. The next day News4's Shomari Stone asked her if she was going to claim her "winning" ticket. She replied, "If I find it... I misplaced it." She said she hid the ticket in the McDonald's where she works. And the winners were definitely aware of that situation. "They had been certainly been watching the news and saw that was more than they wanted to go through," a lottery official said. WHAT ABOUT THE OTHER TICKETS? The winning ticket was sold about 7:15 p.m. on March 30 -- less than four hours before the drawing -- at the 7-Eleven on Liberty Avenue in Baltimore. It was a Quick Pick ticket and was the only one purchased at that time. 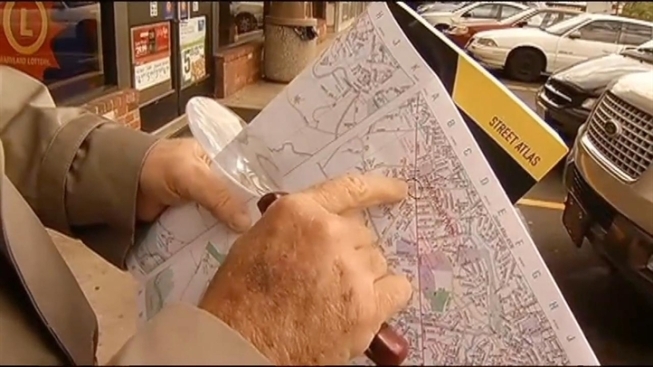 The three Maryland winners hadn't checked any of their 59 other tickets when they visited the Lottery office Monday, and officials there offered to check them. Out of the other 59, they won a grand total of $1. There were also, as you've probably heard, two other winning tickets for the record $656 million jackpot. Those tickets were sold in Illinois and Kansas. The Illinois winner has not yet come forward.